In CRM 2011, queues functionality is enhanced and changed as lot from CRM 4.0. You can read more about the changes in this article. This current article is specific to behaviour with regarding to incoming email in to queue in CRM 2011. So if you received email in queue in CRM 2011 and if contact is not recognized by system automatically then it creates new contact automatically. This is issue for one of customer because they did not want to end having lots of contacts created unnecessarily so we decided to turn off this feature for queues. Following are steps to turn off this automatic feature in CRM 2011. Step 4: Click OK, Done!! 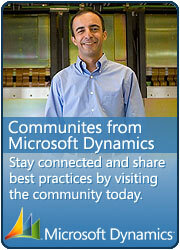 This entry was posted in CRM 2011, Tips & Tricks and tagged CRM 2011, Tips & Tricks on April 10, 2012 by mayankp.